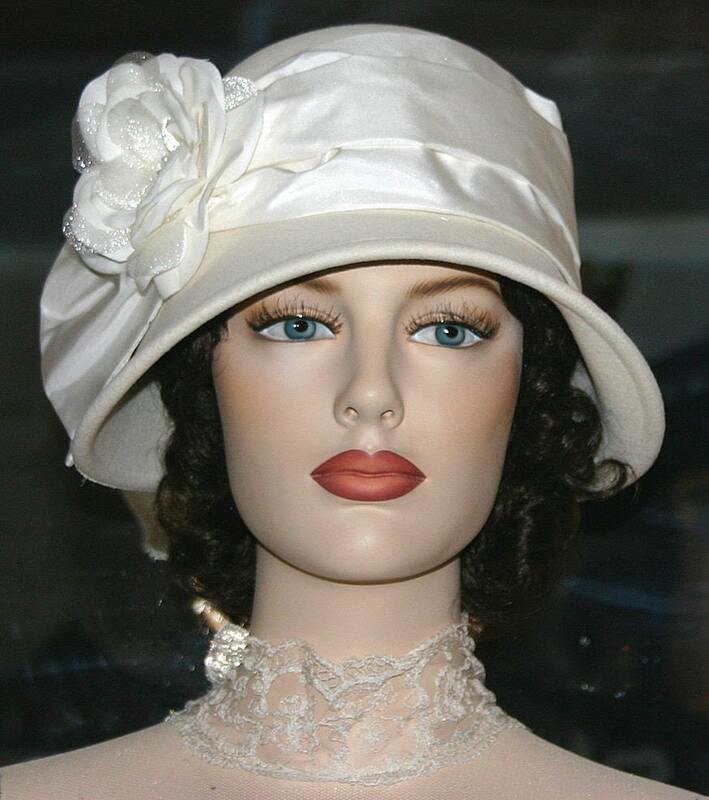 Downton Abbey Hat "Lady Jennifer" is a perfect hat for your Edwardian tea party or wedding. 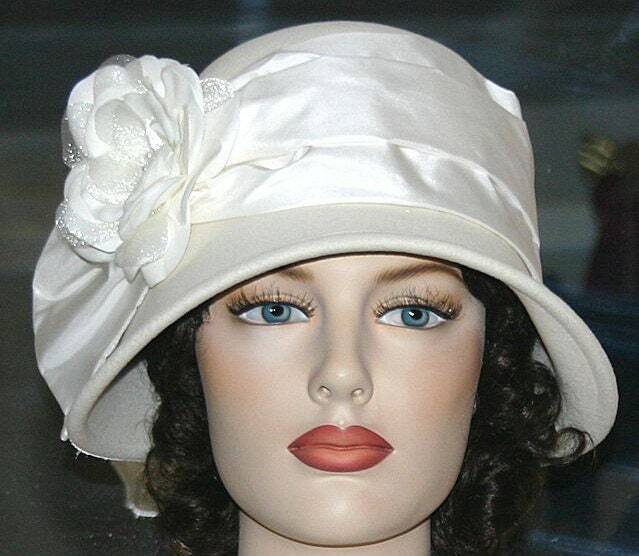 It's a darling soft ivory wool cloche hat. 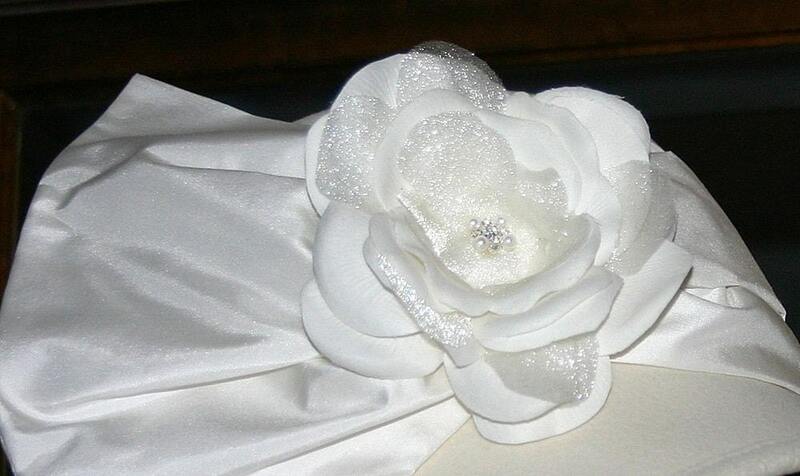 The hat band is ivory silk taffeta and the hat band is accented with an ivory Gardenia with a mix real touch and organza petals. 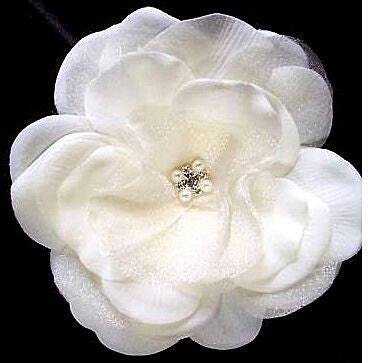 The center of the flower is pearls and rhinestones. 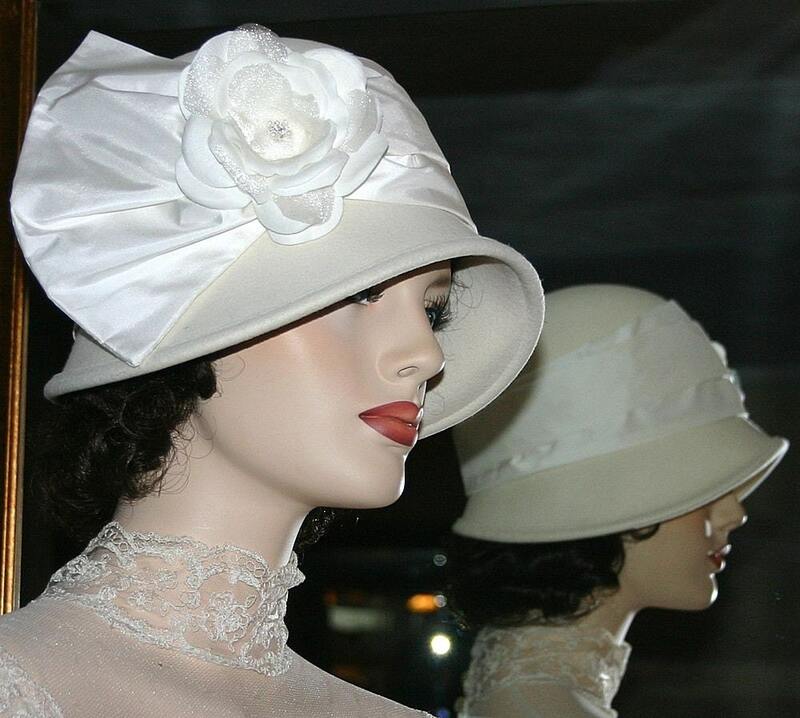 Perfect for wedding, Easter or any other occasion where you would like to look stunning!